Have fun with Freestyle BLANK iron-on transfer materials. Sheets size: 18x25cm, 25x25cm, 25x50cm and meter/yard length 50x100cm. 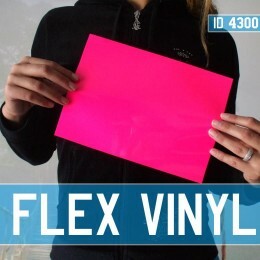 Available in 50 Flex Vinyl colors, including Neon and Metallic colors. 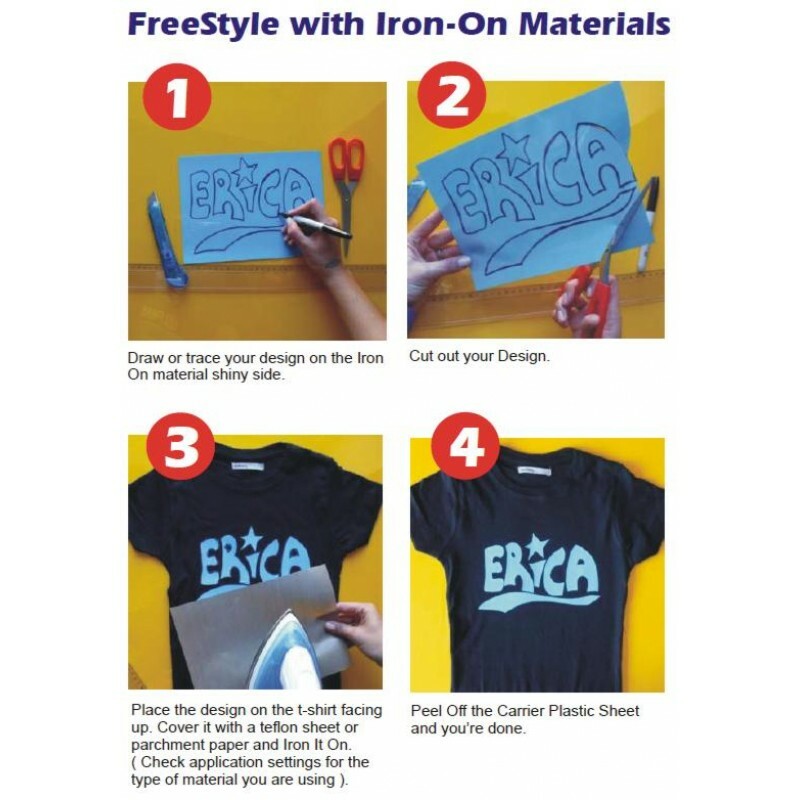 Freehand or trace your design on the iron-on transfer sheet. 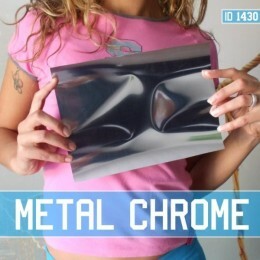 Print it on your t-shirts and other textile items with Home Iron or Heat Press. Print ALL fabric colors ( black etc. ), and most textiles, cotton, polyester, denim and more. Look great with a Matt soft finish. Durable and washable quality heat transfers. Next day shipping worldwide. Hassle free returns. 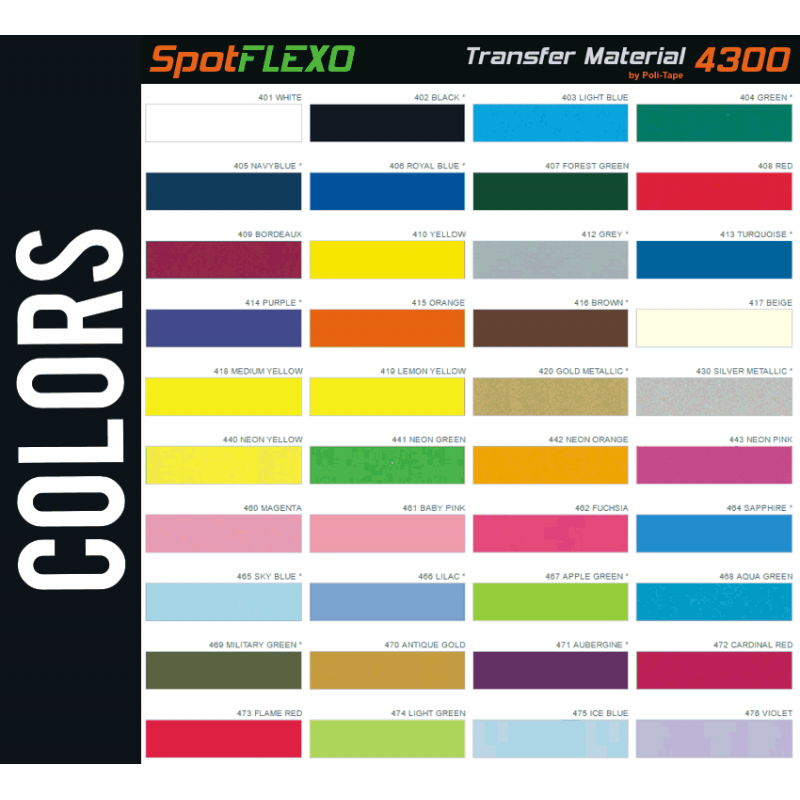 Color Choice Flex Colors: White, Cream, Black, Red, Blue Royal, Blue Navy, Blue Sky, Turquoise, Yellow, Yellow Athletic, Pink, Hot Pink, Green, Green Apple, Green Dark, Grey, Orange, Purple, Burgundy, Brown, Silver Metal, Gold Metal, Pink Neon, Green Neon, Orange Neon , Blue Neon. 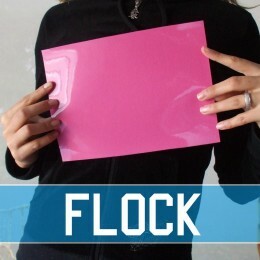 T-Shirt Flock Iron-on Transfer material come BLANK You design and decorate t-shirts and other items. 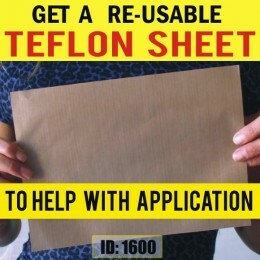 Sheets size: 18x25cm, 25x25cm, 25x50cm and meter/yar..
Vinyl flex iron-on transfers available as blank sheets 18x25cm or rolls in 40 colors. 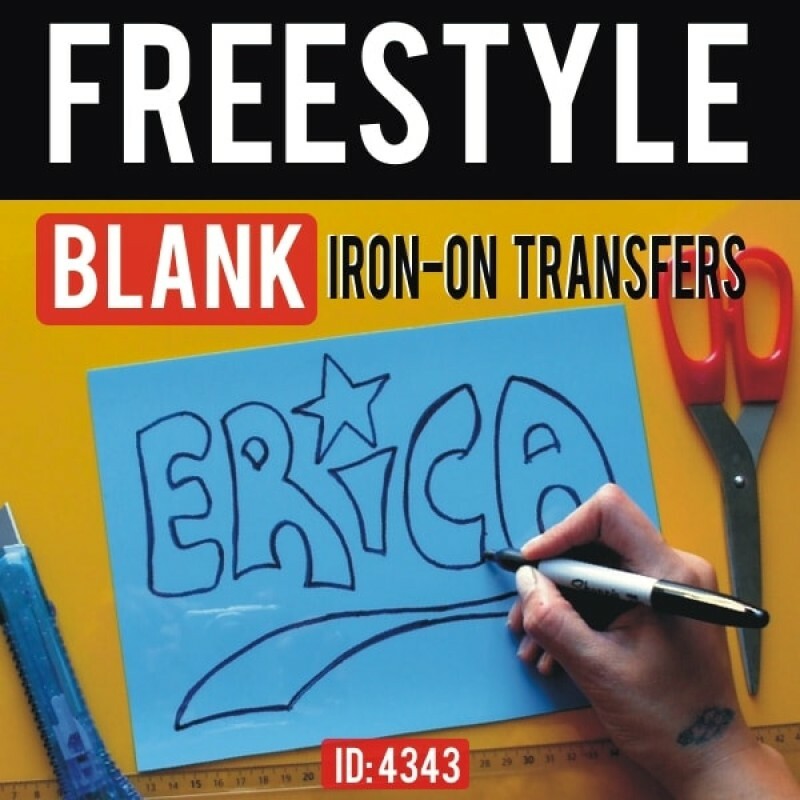 Vinyl flex iron-on transfers feel soft, matt finish with a scree..